The Green Table | Oh No! Not Another NYC Food Blog! A local farm-to-table joint serving updated American classics in Chelsea Market. 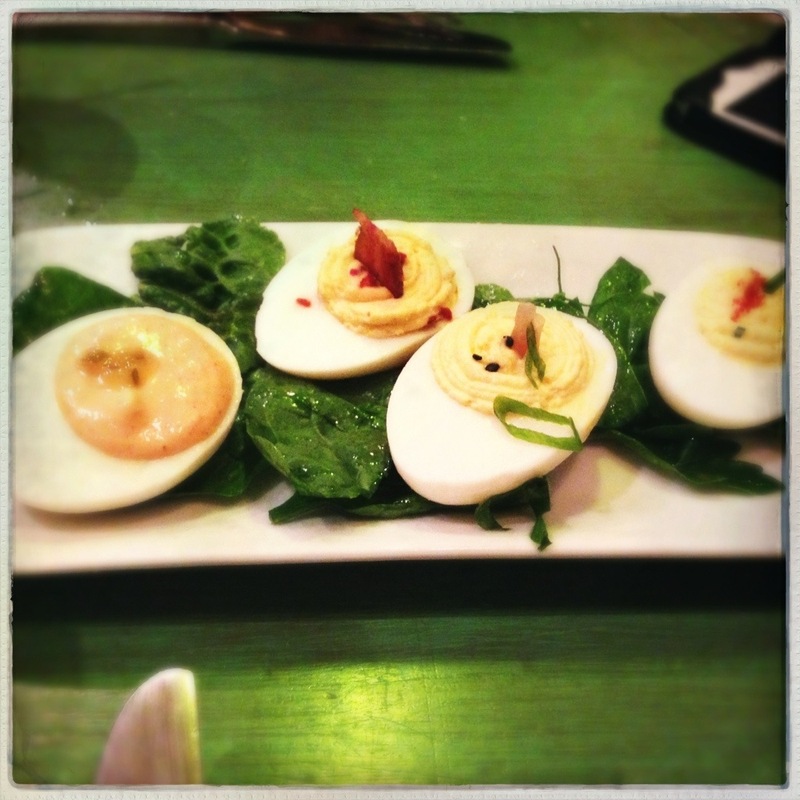 We started with Deviled Farm Eggs 4 Ways (Classic Southern, Wasabi, Bacon Relish, Pimento Cheese) – The bacon was, not surprisingly, our favorite. 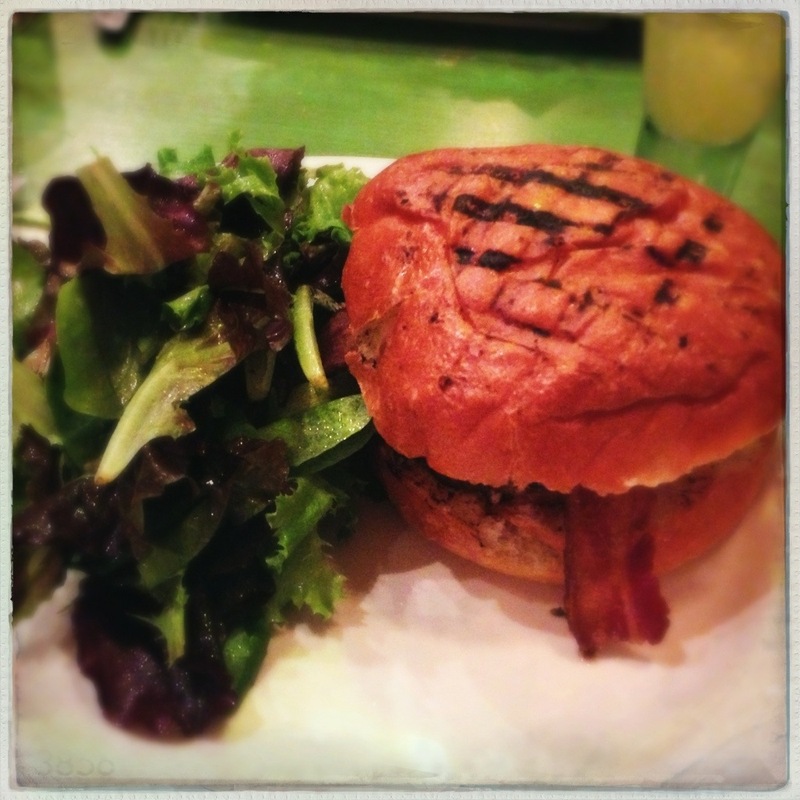 I had the GT Burger- Wrighteous Organics beef, kimchi, bacon & tomato relish on Amy’s roll – in a word: fantastic. Juicy burger, nice bright pickled punch from the kimchi, and round sweetness from the relish made for a well-balanced dish. Great dressed greens side, good bun. 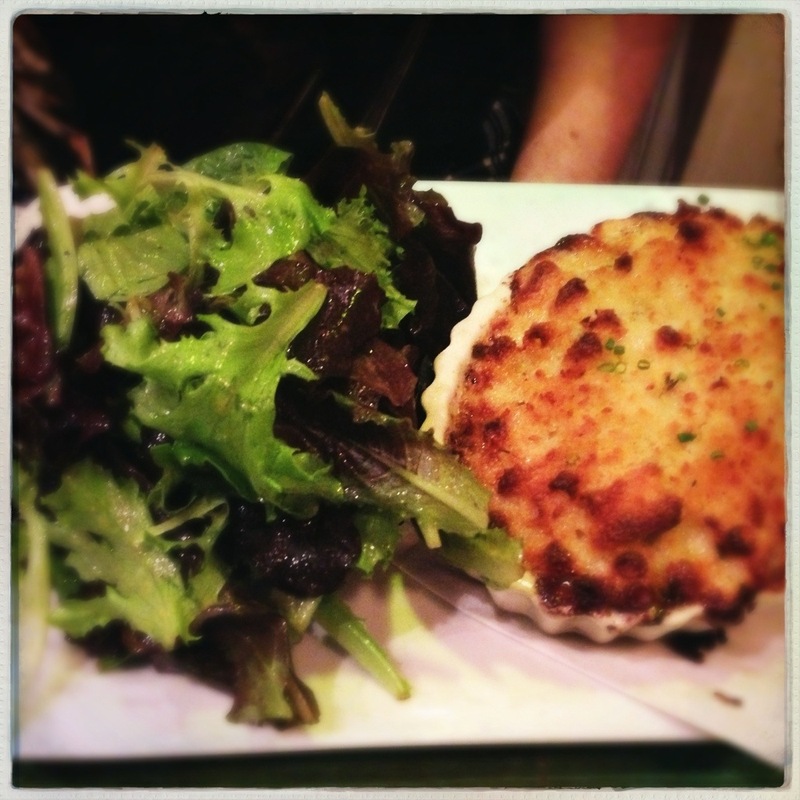 My DH had the Mac & Cheese – Goat, Colby, cheddar, and Parmesan with organic pasta and breadcrumbs – Cheesy and delicious with a nice dressed greens salad alongside. To drink, my DH had the Bloody, which was fantastic and spicy. 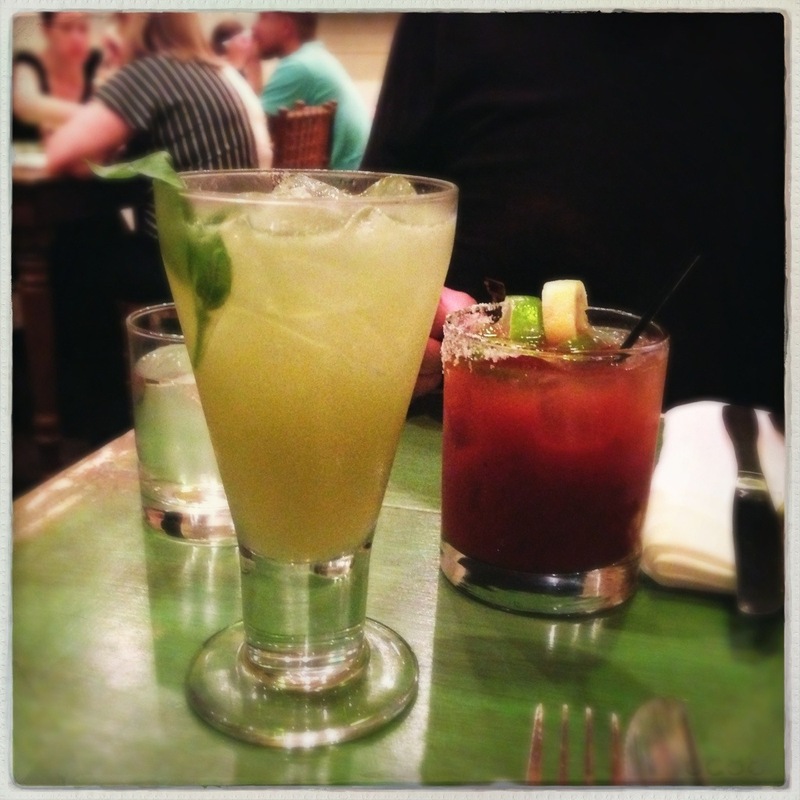 I had the Gin & Basil & Lime – It tasted like those green icee pop things in plastic tubes from childhood in the best possible way. Tiny dining room – great if your fellow diners don’t cackle like great whooping loons on ecstasy. The food was great; the overall experience, not so much. Still, we want to re-visit. Just hopefully on a quieter day. 3.75 out of 5, though the knife through the temple caused by the aforementioned table of desperation really wasn’t the restaurant owners’ fault. It is something to be on the lookout for in small spaces.